In the past few years, J.C. Penney (NYSE:JCP) has survived the growing retail apocalypse, but it has hardly thrived. 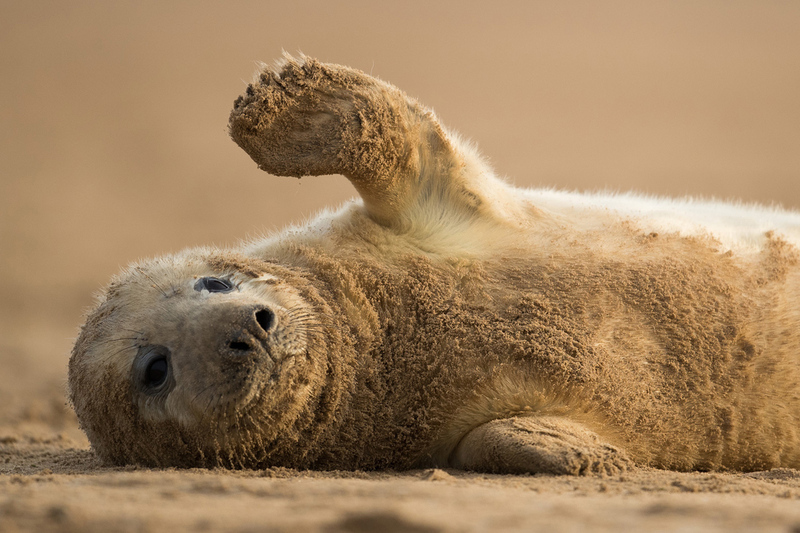 While the company showed signs of life in 2014 and 2015, comp sales growth slowed to roughly zero by early 2016, and the no-growth trend has continued since then. CEO Marvin Ellison recently resigned to take the top spot at Lowe's, leaving a leadership vacuum at J.C. Penney. However, the interim management team is doubling down on his strategy of pushing into new product categories where there is market share up for grabs. On Thursday, J.C. Penney took another step in this direction, announcing that it will introduce baby shops in 500 stores later this month. In his three and a half years as the CEO of J.C. Penney, Marvin Ellison implemented a strategy of chasing sales being surrendered by struggling rivals. Most notably, the chain began selling major appliances in 2016 in a move to capitalize on store closures and sharp sales declines at Sears Holdings (NASDAQ:SHLD). J.C. Penney has also rolled out new home services offerings, in competition with Sears. J.C. Penney expanded its merchandise selection while Marvin Ellison was CEO. Image source: J.C. Penney. J.C. Penney has a modest 0.9% share of the U.S. appliance market today, but that still represents nearly $300 million of annual revenue, or more than 2% of the company's sales. Plus, Sears is still shrinking at a phenomenal rate, which should allow J.C. Penney to continue growing its market share in appliances over the next few years. Meanwhile, J.C. Penney made a well-timed decision to launch toy shops in all of its stores last year. This could have a big payoff in 2018, particularly during the holiday season, due to the disappearance of Toys R Us -- and to a lesser extent, regional department store operator Bon-Ton. J.C. Penney's next new merchandise category will be baby products. The company already sells baby clothes as part of its $1 billion children's apparel business, and it also offers various larger items through its website. 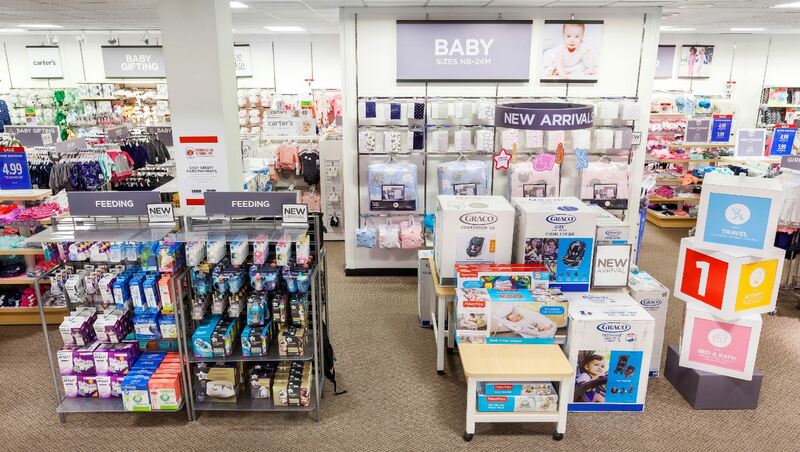 As of Aug. 30, 500 JCPenney stores will get baby shops showcasing items like cribs, high chairs, strollers, car seats, bottles, pacifiers, diaper bags, bouncer seats, and activity centers. The retailer will also expand its selection of baby apparel. Most of the items displayed in stores will be stocked there as well, but some items won't be stocked and will be delivered to customers' homes instead. 500 JCPenney stores will have baby shops by the end of August. Image source: J.C. Penney. In its press release announcing the new baby shops, J.C. Penney bluntly acknowledged that it is looking to fill the vacuum left behind by the Babies R Us liquidation. "We've strategically chosen these 500 JCPenney locations because the majority of the stores are near a specialty baby retailer that has recently closed its doors," it stated. The U.S. baby care market could surpass $13 billion by 2021. Even if J.C. Penney only scoops up a small slice of that, the move into baby gear could have a meaningful impact on the company's revenue growth over the next couple of years. Notwithstanding J.C. Penney's mediocre results of the past few years, the company does seem to be gaining market share at Sears' expense. Indeed, Sears Holdings' first-quarter revenue was down 46% relative to the first quarter of 2016. The problem has been that J.C. Penney lost focus on its core apparel business while chasing sales in new product categories. The company belatedly began to fix its apparel assortment last year, which drove strong comp sales growth in the fourth quarter, but its sales trend slowed again in early 2018. J.C. Penney is well-positioned to continue gaining market share in appliances while also making inroads in the toy and baby markets in the second half of fiscal 2018. However, it won't matter much without growth -- or at least flat comp sales -- in apparel. On Aug. 16, J.C. Penney will report its earnings for the second quarter. The key question for investors will be whether or not the iconic department store chain has finally stabilized its struggling apparel business. Adam Levine-Weinberg owns shares of J.C. Penney. The Motley Fool has no position in any of the stocks mentioned. The Motley Fool has a disclosure policy.